Rochester MN is rich with innovation and pioneering entrepreneurship in many sectors of business. We are proud of all of our locally owned and operated companies – some of them are even known nationally! Discover five local companies that have developed products with wide-reaching impacts. Gardenaire strives to create delicious products–from infused syrups to signature spice blends–using sustainable growing practices and authentic preservation techniques, and they work very hard to realize their dream of harvesting and sharing local flavors, connecting with the community and supporting our environment. At Gardenaire, the mother/daughter owner duo Amy and Linda handcraft organic products in small batches showcasing the unique flavors of exceptional fruits and herbs in every bottle, tin, and jar. Product offerings include shrubs (a fermented apple cider drink infused with fruit and herbs – tangy and refreshing! ), infused syrups that can be used to make delicious drinks, signature spice blends, tisanes (herbal teas), and seasonal products such as European-style drinking chocolates and hand-crafted gourmet marshmallows. Their Tomato + Basil shrub won a nationally recognized Good Food Award. Gardenaire products can be purchased in Rochester MN at Dwell Local, People’s Food Co-op and the Rochester Farmers Market. Their products can also be purchased online. The owners and their four daughters dreamed of continuing their family’s longstanding farming tradition. With more of a penchant for wine than corn, a dream was born. The family now works together to bring a unique experience to the visitors from around the world who visit their family’s farmland. 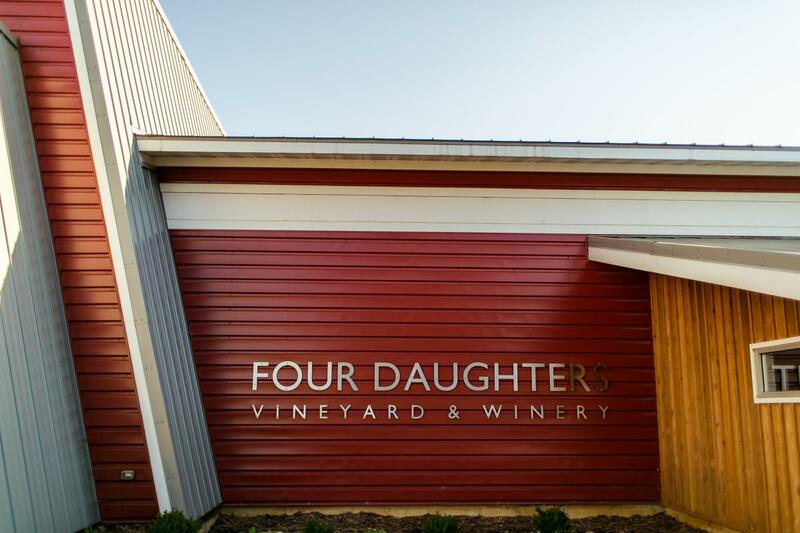 Four Daughters wine has been served at the 2015 Universal Music Group’s Country Music Awards after-party and various events during the 2015 SXSW film festival, but their crowning achievement came when the Sundance Institute asked Four Daughters to be the Official Provider for the 2016 Sundance Film Festival. In addition to their winery, there is an award winning restaurant on site that serves chef-crafted dishes with the freshest ingredients. Their menu changes daily, so there is always something new to try. Tastings are held regularly. Check their calendar for events. Four Daughters Wine can be purchased in Rochester MN at People’s Food Co-op and Andy’s Liquor as well as onsite at Four Daughters Winery and online. The primary purpose of Pharmaceutical Specialties (Vanicream’s parent company) is to make products for people with sensitive skin. Their founders (former Mayo Clinic pharmacists) know from the responses of both physicians who recommend their products, and patients who use them, that they have achieved considerable success toward this goal. Beginning as pharmacists working in a local hospital, the founding partners worked closely with dermatologists and understood the needs of their patients. Because of their extensive experience formulating products, it was suggested by several dermatologists that they start a company to make better products than were commercially available for people with sensitive skin. They investigated this idea and formed Pharmaceutical Specialties, Inc. (PSI) in 1975. From the products to the workplace environment, Vanicream and its parent company PSICO consistently win national awards for the pursuit of excellence! 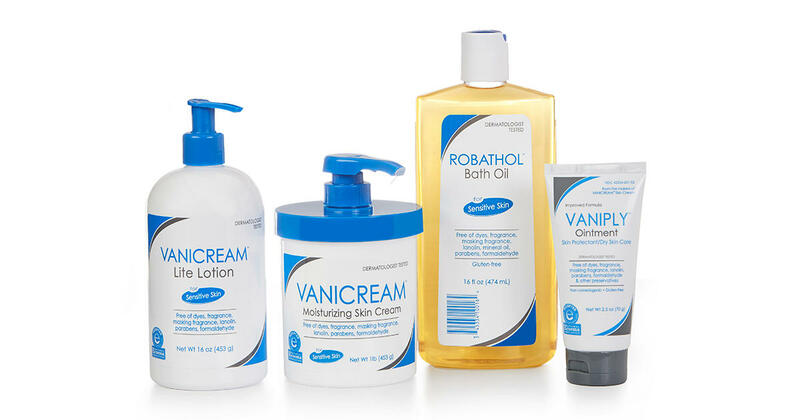 Vanicream and other products in their line can be purchased locally at CVS, Walgreens, Target, and Wal-Mart. In 1958, Stewartville couple Jimmy and Ella Slightam purchased the restaurant called “The Fish House.” Jimmy began creating his own dressings after growing tired of the options typically available. These fresh and creamy new salad dressings became so popular, the customers began asking for a jar to take home. In 1990, Jimmy’s son Tom purchased the salad dressing business and renamed it Jimmy’s Salad Dressing & Dips, as a tribute to his father as the creator of the original recipes. The company has always been committed to producing the highest quality dressings and dips. They make everything in small batches using only the highest quality, freshest, and best-tasting ingredients possible with nothing artificial, no preservatives and zero trans fat. This is why you will always find Jimmy’s in the produce section next to the fresh fruits and vegetables. Jimmy’s Salad Dressing & Dips can be found in grocery stores throughout the Midwest. Inspired by the great outdoors, and seeing a need for portable meals to take on an adventure, Trailtopia is a team of family and friends dedicated to providing outstanding, nutritious and convenient camp cuisine for your outdoor adventures. It started out with a few resealable bags of dried fruit, then progressed to homemade desserts from a family recipe, then to hot lunches and dinners. Trailtopia founder Vince Robichaud simply wanted to make nutritious, convenient, and easy-to-carry meals for his regular outdoor adventures. When he started sharing those meals with his fellow adventurers, Trailtopia Adventure Food was born. Today, the easy-prep, no-clean-up meals—like Bent Paddle Beer-Braised Chicken Stew and Sweet Potato Chili Mac With Hemp Seed Protein—are still prepared from scratch in their Rochester kitchen. Trailtopia can be purchased online and locally in Rochester MN at Tyrol Ski and Sports. What this roundup should tell you is that Rochester has an amazing and thriving entrepreneurial community. The resources for those just starting out are now readily available, and the community itself is one of connection and mutual support. For those who have started a business out of their home or find themselves floating from coffee shop to coffee shop with their laptop, coworking spaces are often the next step. They typically include some sort of open work area, where people can rent individual desks on a monthly, or even daily basis, as well as the opportunity to work with others. The inherent flexibility of coworking spaces is perhaps their biggest advantage in today’s ever-changing business climate. Some of Rochester’s coworking spaces include Collider Co-Working, Offices at China Hall, The Vault, Mayo Clinic Office of Entrepreneurship. Rochester’s own Mayo Clinic was founded on innovative thinking and entrepreneurial efforts when the Sisters of Saint Francis worked alongside the Mayo family doctors to tend to those injured by the infamous Rochester MN tornado of 1883. After the tornado crisis subsided, Mother Alfred Moes of the Sisters of Saint Francis approached the Mayo family about establishing a hospital in Rochester. That hospital is what we now know as the Mayo Clinic today. In the spirit of that early innovation, the Mayo Clinic Office of Entrepreneurship supports and equips innovators on the Mayo Clinic staff as they pursue entrepreneurial efforts. Learn more about innovation in Rochester.